Bloemgracht 129 A1 1016 KL Amsterdam - DSTRCT Amsterdam B.V. Asking price € 1.645.000 k.k. Beautiful recently renovated loft apartment off approximately 214 sqm divided over 2 levels. Situated in a beautiful national listed building in the center of the lively neighborhood Jordaan on Bloemgracht. This one-of-a-kind apartment is beautifully designed and furnished by design bureau Bricks Studio. At which they didn't forget to keep the beautiful original details in sight. The kitchen, dining room and living room are all situated in one room giving the room a very spacious feeling. The whole level is equipped with an oak herringbone floor and in the living room you will find a working fireplace. The apartment is provided with 3 bedrooms and 2 bathrooms. The master bedroom with en suite bathroom and stately Catchpole & Rye bathtub is in perfect combination with the hand finished shower and water taps. The former warehouse is a beautiful listed monument and the wooden beam ceiling is kept in its original state. The apartment is situated in a detached building, in between the Bloemgracht and Bloemstraat, which means you will not find any side neighbors and the apartment is equipped with windows on three sides. The width of approximately 12 meters and the length of almost 16 meters make this a very extraordinary apartment. The apartment is located on a beautiful part of the Bloemgracht in the Jordaan. It is one of the most popular residential areas in the historic center of Amsterdam. 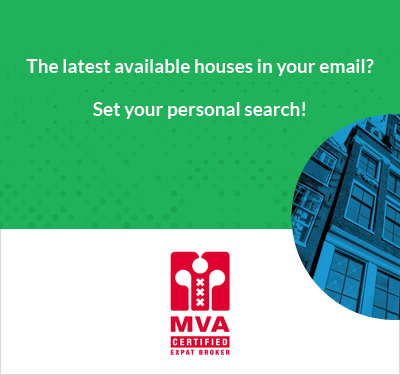 Very centrally located close to: 't Koningsplein, Dam Square, the Noordermarkt, the Westerkerk, the "De Hallen" and Haarlemmerstraat within walking distance. There is a wide range of museums, theaters, caf�s, the Marnixbad, excellent restaurants and cozy caf�s. In the small connecting streets between the main canals you will find the Nine Streets with fashionable shops and trendy boutiques. Communal entrance on the Bloemgracht. When entering the apartment, you will walk to the backside of the complex. Via the staircase you will reach the first floor where you can choose to use the stairs to the second floor or you can use the elevator which gives access to the private hallway of the apartment. The elevator only gives access using a personal key. There is a private storage situated in the spacious staircase. When you enter the apartment, you will find a separate toilet on the left side of the hallway. When proceeding you enter the large open area with at first the open kitchen. The tailor-made kitchen is from the brand Siematic and has a 3-inch-thick granite countertop. The build in equipped is all from the brand Gaggenau. In both kitchen blocks you will find a lot of storage space build in. On the backside of the apartment they created the dining area which is due to big windows very bright. The second bedroom is on the backside as well. The living area is situated in the middle of the apartment with on the left side a working fireplace. The master bedroom has large build in closets and an en-suite bathroom. In the bathroom they created a beautiful ambiance by combining black and white accents with the amazing copper Catchpole & Rye bathtub. Furthermore, you will find a double sink, a separate shower and extra toilet in the same style. Via a spiral staircase you enter the third floor. This level has a beautiful vide with a glass walkway which creates a lot of light for the second floor. Also the third (bed)room, second bathroom and 2 French balconies are situated on this floor. At the moment the third room is in use as a music studio which is soundproof, but this room can be used as a bedroom as well. In the bathroom there is a design radiator, sink and large shower.